I was blessed to have known my sweet and loving grandmother along with the privilege of observing her age gracefully during her golden years. A year after my grandfather died, at the age of seventy-one she moved to Marfa, Texas to leave the memories of the retirement home they had built together to live close to my aunt and begin life anew. She selected a smaller home and went though the difficult process of deciding which furnishings to keep. She quickly made new friends and continued her way of life by cooking delicious cinnamon rolls, fried chicken and okra, my favorites. She also continued her hobby of needlework, some of which are hanging in my home today. 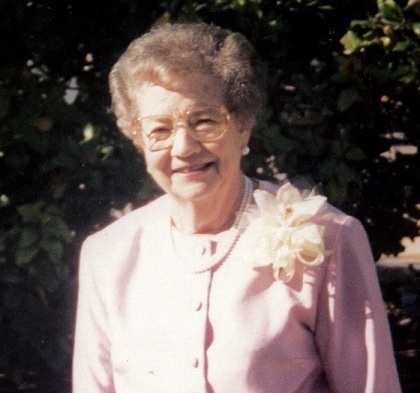 At the age of 82 and with declining health, she felt she needed to move and considered going to the Rio Grande Valley to be close to my mother. She was very apprehensive about the move and unsure how she would be able to adjust to new surroundings and friends. This move would be to an independent living apartment that provided meals, medical help, transportation, social activities and a swimming pool she liked very much. We all finally convinced her it was in her interest to move. Yet, she was especially concerned about her belongings and how they would fit into her new downsized apartment. It was difficult for her to give up even some of her things she cherished and this fact alone jeopardized the decision to move. My parents had the wisdom to have her visit the apartment and along with the apartments floor plan arrange what furniture she most wanted to keep. They helped her organize her belongings as what to keep, donate and sell. When we packed and picked up her furniture, our men left early and placed her furniture and belongings into her apartment just as she wanted with the aid of the floor plan. When she arrived the next day with my parents, she was happy and excited and said, “This looks just like my old home.” She was pleased with the move from the first day and talked about what a wise decision she made to move. A moving plan with proper timing was the essence of a successful move along with my parent’s loving guidance. 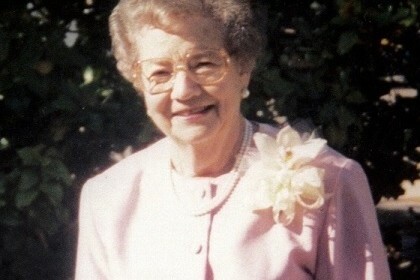 My grandmother who lived to be ninety-two left me with a memory of a beautiful lady in pearls. I remember her becoming kinder, wiser and more radiant inside every day!